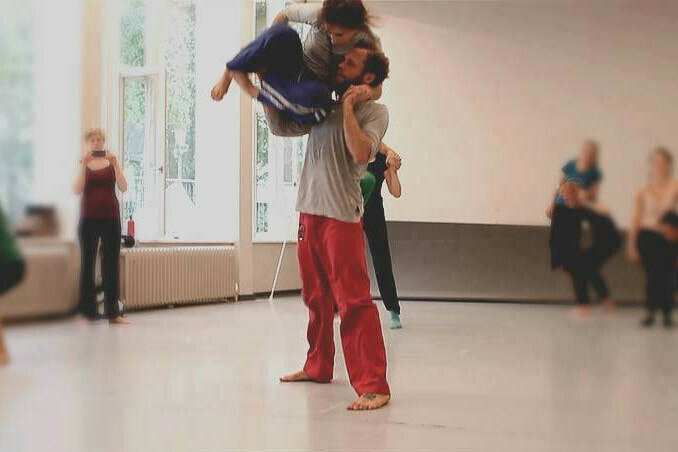 In addition to a rich program, the Berlin Circus Festival has much more to offer. It is always our goal that your visit to the festival is an exciting experience, where you can take the time to dive in, share what you have seen and have a great time. With food and drinks, workshops and concerts and our annually changing art exhibition we offer you an exciting temporary place of culture in the middle of Berlin. For us, the terrain on the Tempelhof field is more than a mere venue. Since the beginning of the first festival the site has been an oasis in the big city, a place for discovery, joy, exchange and interaction. With much love to detail, dedication and passion the festival team designs and develops during 10 days a unique festival site, offering us all a place for a unique Berlin Circus Festival. We look forward to bringing this place to life together with you! For many years Tilo from "Schlesisch Blau" has been delighting guests in his restaurant with culinary delights. With his delicacies, fresh ingredients from the garden and relentless love, he also serves the greatest delicacies for you as a snack or a complete meal. At the festival's bar, you'll get everything you want on a beautiful summer day/evening on the Tempelhof Field. Have a fresh draft beer, tasty wine or a cold applejuice - we offer everything your heart desires. We offer a variety of workshops to let you discover different disciplines or develop your skills. Dance acrobatics, marketing coaching and family workshops – we offer something for beginners as well as professionals. Advance notice - further information and registration will follow shortly. The festival is also a platform and exhibition space for sculpting, painting and photography works and more for visual artists. Against an exceptional backdrop, the artists present works on the subject areas "Circus, Body and City". The exhibitions are curated by Luise Rüdiger and Viktor Petrov. On weekends, before and after the shows, concerts of all kinds take place. 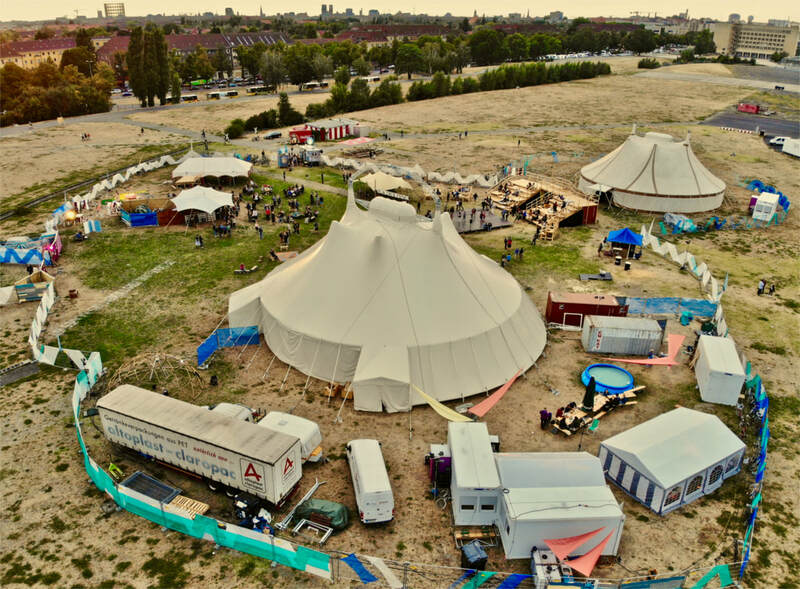 Circus, live music, drinks and all that outside on the Tempelhofer Feld - what more could you want? 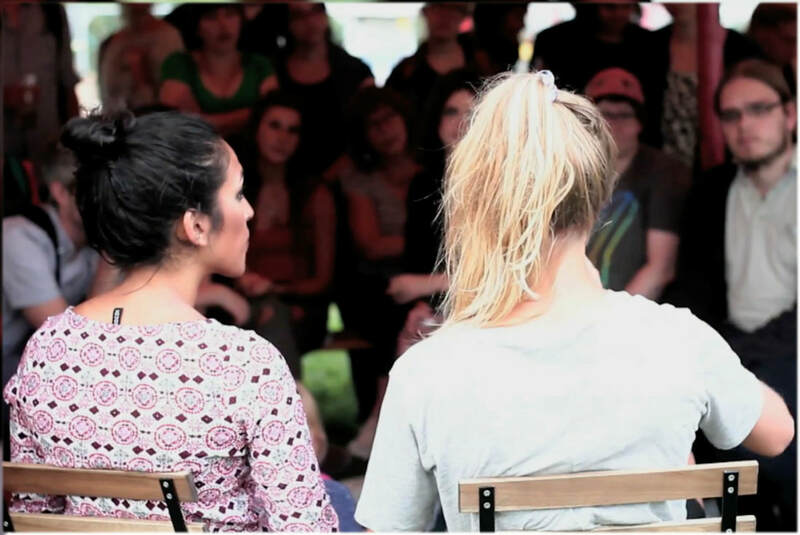 On the weekend days, we hold public discussions with the artists after the performances. In moderated talks, you get the opportunity to catch exciting insights, learn more about the background and ask questions. The audience discussions take place after the performance. More detailed information you get in advance of the show. The festival is an important meeting point of the national and international scene. As a member of the Federal Association of Contemporary Circus (former INZ) we promote the active development and structural strengthening of the scene and organize a network meeting of the German circus scene. More information later HERE. In a financially supported residence, invited artists develop their project further and receive valuable feedback through the DasArts feedback method (workshop here at the festival). Since January 2019, the project Circus Re: Searched has been running between the three partner organizations KreativKultur (AT), Berlin Circus Festival (DE) and Cirqu'Aarau (CH). The selected artists participate in residency, feedback, watch & talk and performance formats in all three countries. From 2019, the Berlin Circus Festival will be a member of the European network Circus Next, in which it will sustainably support creative processes at European level from 2020, report on the conditions in Germany internationally and establish partnerships. The OPEN CALL for companies runs until 7.6.2019.